The Asheville Art Museum invites you to rediscover the beauty of the Appalachians during an Art Break featuring the stunning exhibition Mapping the Mountains: The Photographs of George Masa from 12:00 to 1:00 p.m. on Friday, February 20, 2009. Join Special Projects Curator, Lynne Poirier-Wilson for an informative and conversational tour of Mapping the Mountains: The Photographs of George Masa during the Friday, February 20th Art Break. 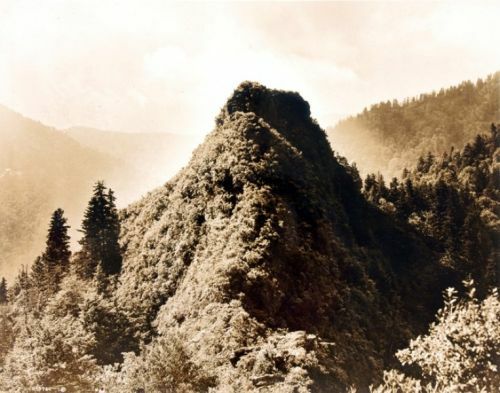 To celebrate the 75th anniversary of the founding of The Great Smoky Mountains National Park, the Asheville Art Museum will present an exhibition examining the photography of Masa including his seminal images of The Great Smoky Mountains National Park. This exhibition will demonstrate why Masa has been called “the Ansel Adams of the Appalachian Mountains.” This exhibition is on view February 6 through July 5, 2009. In January, the Museum began presenting this lunchtime series of gallery talks and presentations designed to inform and engage visitors in a dialogue with members of our curatorial and education departments, docents and special guests. Each Art Break begins at 12:00 p.m. and is free with Museum Membership or with Museum admission. This exhibition is sponsored by the Maurer Family Foundation, Judy Appleton Memorial Fund, Battery Park Book Exchange and Ray Griffin and Thom Robinson.